New York State Amateur Hockey Association West Section President David Braunstein, who did essentially nothing after a parent complained that an opposing team made racist noises at his son throughout a game, has resigned after 19 years on the job. He didn’t provide a reason for his resignation, according to the Buffalo News, but you could make an educated guess. As a video showed, Roshaun Brown-Hall, a player on the Amherst under-18 team, was subjected to monkey noises during a Jan. 20 game against Cheektowaga. 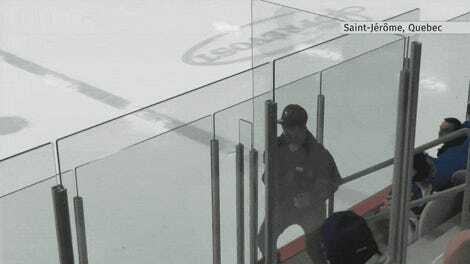 Roshaun’s father Darren Brown-Hall and Amherst coach Jim Tracy sent the video to the Western New York Amateur Hockey League so it could conduct an investigation and discipline the players who made the noises. The league’s president Jeremy Rowley and executive director Janice Cavaretta were supposed to look into it, but when Brown-Hall asked for an update on Feb. 8, Cavaretta said it had been taken out of her hands and moved to Braunstein. After Amherst and Cheektowaga were scheduled last week to play a playoff game, Darren Brown-Hall reached out to Braunstein to get a status on the investigation. Braunstein said he wouldn’t reach a decision before the playoff game. After Brown-Hall complained, the playoff game was abruptly canceled. Darren believed that Braunstein and the other executives had been waiting for Roshaun, a senior, to graduate high school so the issue would go away quietly. Braunstein said he “explained the circumstances” to Brown-Hall earlier Monday. 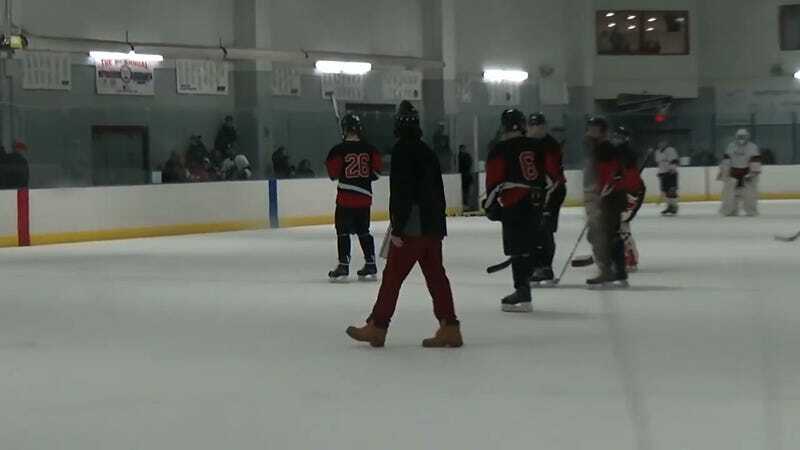 An assistant coach and two players on the Cheektowaga team have reportedly been suspended but not named in connection with the racist taunts.